Tajikistan's World Combat Games silver medallist, 19-year-old Safoviddin Yusufi became the first "Road to Baku" boxer to advance to the next preliminary round in Baku. Yusufi took the lead against Vietnam's only competitor, President's Cup silver medallist Nguyen Van Hai by 4:3 after the first three minutes and finally defeated his Southeast Asian rival by 12:9. In the Top16, the left-handed flyweight Tajik competitor will meet reigning Asian Games winner, Philippines' 24-year-old Rey Saludar. The second Guatemalan boxer from the AIBA program has just been eliminated, which means that the competition is finished for the Central American country. Bantamweight's Central American and Caribbean Games bronze medallist, Joselito Aguirre was defeated by Kyrgyzstan's Omurbek Malabekov by 24:17. Japan's two-time Asian Games bronze medallist, Katsuaki Susa is still unbeaten this year. 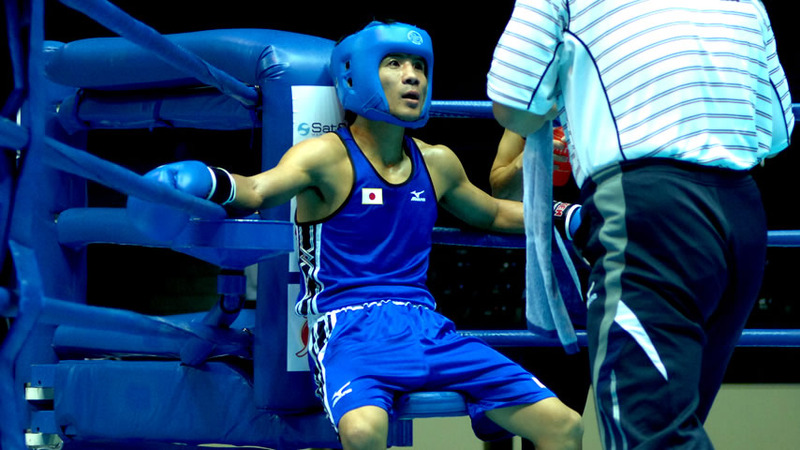 The 27-year-old Japanese flyweight has eliminated Commonwealth Games quarter-finalist and AIBA 'Road to Baku' boxer, 20-year-old Ghanaian Duke Akueteh Micah by 23:10. Cambodia's current National Champion and Southeast Asian Games competitor, Long Lamda could not fight in his opening contest. Panama's veteran, Felipe De La Flor Alba was the fifth boxer from the 'Road to Baku' program to compete on this second day of competition and he had to fight against Oscar Manuel Negrete. The Colombian boxer was leading by 5:2 after the first round and collected more points than his rival from Panama to win the bantamweight contest by 15:6. Sri Lanka's National Champion Army boxer, Ruwan Weerakkodige tried to do his best against Youth Olympic Games bronze medallist, Polish Dawid Michelus, but his European opponent was too strong for him. Finally Latvia's four-time National Champion and Korotkov Memorial Tournament winner, Dmitrijs Gutmans was defeated by European Championships bronze medallist, Razvan Andreiana of Romania by 17:6 in the bantamweight class.